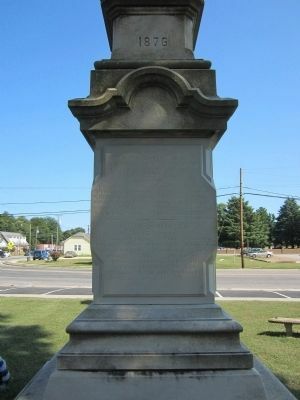 Erected 1876 by Ladies Memorial Association of Westmoreland County. Location. 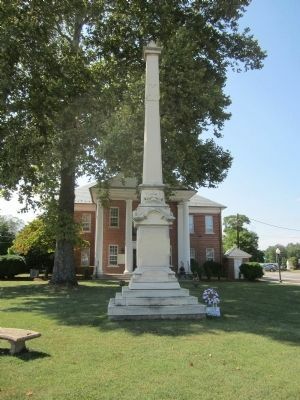 38° 5.718′ N, 76° 49.696′ W. Marker is in Montross, Virginia, in Westmoreland County. 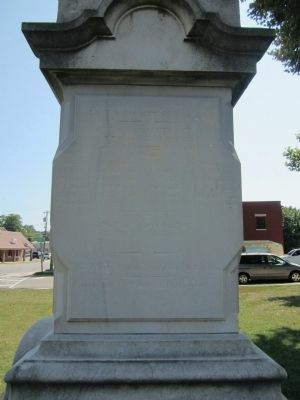 Marker is at the intersection of Kings Highway (Virginia Route 3) and Court Square, on the right when traveling west on Kings Highway. Touch for map. 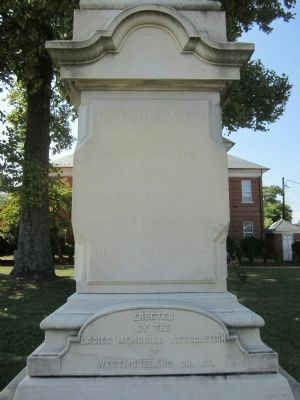 Marker is in this post office area: Montross VA 22520, United States of America. Touch for directions. (approx. 3.3 miles away); Nomini Baptist Meetinghouse (approx. 3½ miles away); To Keep in Perpetual Remembrance the Name of Thomas Lee (approx. 3.7 miles away); Stratford Hall (approx. 3.7 miles away). Touch for a list and map of all markers in Montross. More. 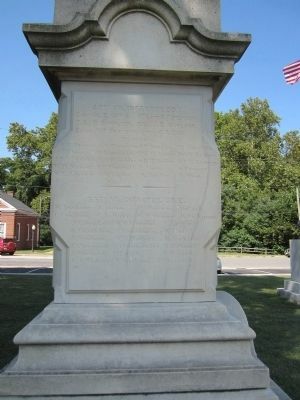 Search the internet for Westmoreland County Confederate Monument. Credits. This page was last revised on June 16, 2016. This page originally submitted on August 21, 2014, by Bernard Fisher of Mechanicsville, Virginia. This page has been viewed 404 times since then and 17 times this year. Photos: 1, 2, 3, 4, 5. submitted on August 21, 2014, by Bernard Fisher of Mechanicsville, Virginia.